UTH has developed an evolution of its two-roll plasticizer with integrated gear pump to allow the machine to automatically and continuously homogenize treads, sidewalls, profiles and sheets at a low temperature – including fine mesh straining – all in a single step. 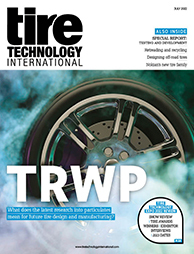 The new TRP Reworker System marries new technology for gentle rubber processing that is based on an open roll system with proven methods. 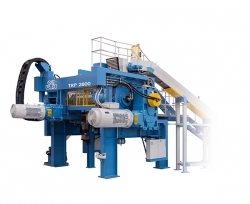 The new system is designed to process unvulcanized material generated during tire production. The energy-efficient and space-saving system is available with optional modules such as slab feeders, cutters, metal detectors, weighing equipment and various discharge dies.